For a good life – Only Connect! 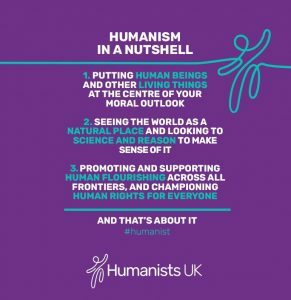 As the late Claire Rayner told the BHA, “I was a humanist without knowing it for many years before I found the (British Humanist) Association – when I did, it was like finding a sort of home. Here were people with a range of views that matched mine, who shared my respect for life in all its forms and who, above all, did not in any way try to bully other people to follow their beliefs”. We try to provide a similar sort of home on a local basis, with thought-provoking meetings, social gatherings and other activities in and around Oxfordshire. See ‘What we do,’ for Oxford Humanists and partner events, campaigns, and community involvement. As humanists, we make sense of the world using reason, experience and shared human values, and we regard religions, and their doctrines and rituals, as human inventions. Rather than depending on religious doctrine and dogma to guide or command us, we prefer to take personal responsibility for our actions to lead good, and full, lives. Not believing in an afterlife, we neither fear judgement, nor expect reward, in the hereafter; we find enough purpose, meaning, joy and wonder in the one life we know we have. We are active across the whole of Oxfordshire [and beyond], campaigning for a state where nobody enjoys privileges or suffers discrimination because of their religious or non-religious beliefs. Let’s make it happen today! For a fuller understanding of Humanism, check out Stephen Law’s blog ‘What is Humanism‘.